For anyone who’s looked through health information websites, you’ve probably seen a good number of foods that offer health benefits. Today, we take a look at two lesser known foods and compare them. So, here’s kefir vs. buttermilk. I’m quite sure you’ve heard of buttermilk before. It’s something many homes use for cooking. And your mom and grandma probably used it in some of their recipes as well. Kefir meanwhile, is one of the hidden gems that still only a few people are aware of. The reason we compare these two foods is that they’re both healthy for you. Plus, they’re not as well known compared to say yogurt. In each section of the article below, we try to tackle one aspect of the two products. In each we compare and contrast them to see what is the difference between kefir and buttermilk. A good beginning in this comparison is where the two items come from. As you would guess, they come from different sources. 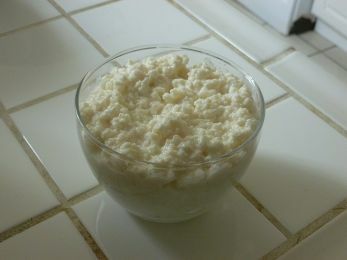 Kefir milk is sourced from kefir grains. 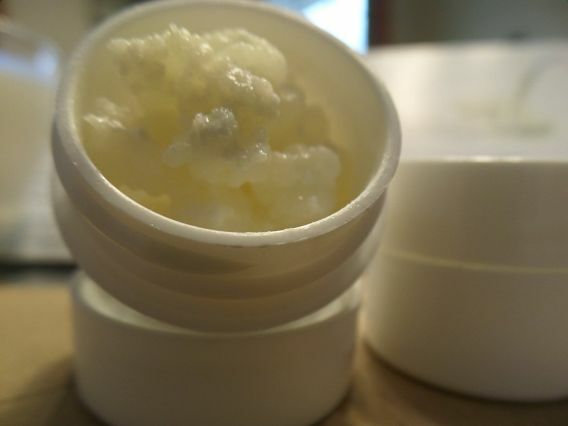 Kefir grains contain microorganisms that are helpful to the body. It the presences of these tiny organisms that make them beneficial and worthwhile to us. The organisms found in kefir are capable of fermenting milk. This is what causes milk to thicken and sour. While it often is made from kefir grains, beverage is also manufactured from the milk of cows, sheep and goats. Buttermilk, on the other hand, is obtained by increasing the acidity of milk from a cow. Buttermilk is produced when cream is churned. The churning process separates the cream into two parts. One is the buttermilk. And the other are the butter solids. So in essence, is the byproduct, or liquid that’s left behind, as a result of making butter from cream. Both kefir and buttermilk can be purchased from grocery stores and other food shops. Both kefir and buttermilk have many uses. They are both used for salad dressings because of their natural creaminess and the sour taste. The two liquids can also be used as bases in the production of ice cream. For healthy purposes, kefir and buttermilk are employed as an alternative to yogurt. They both work well in the place of milk or yogurt when you’re making smoothies and soups. Compared to milk, they have the added benefit of having probiotics, or good bacteria, which milk doesn’t have. These two beverage drinks likewise have different concentration of glucose. The carbohydrate content in buttermilk stands at around 13 grams per eight ounces of serving. Kefir milk meanwhile, has a higher content of glucose. You get about 15 grams in each eight ounce serving of this food. Kefir has a higher content of glucose than buttermilk due to the grains used in its production. But this is not all bad news. The grains add dietary fiber to the beverage, which is a major component in the body for digestion and satiety feelings. Kefir milk has some yeast character to it. This is due to the health-friendly yeast present in the milk. However, milk kefir come with a more sour taste compared to buttermilk. Kefir milk’s flavor however, can be manipulated. This will depend on its fermentation time. 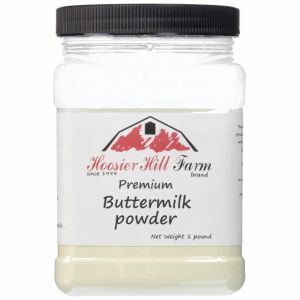 Buttermilk’s flavor on the other hand ranges from mild to tangy. Its consistency also varies from thin and less viscous to thick and creamy milk that is viscous. Because there are so many variations of the two, the best way to tell which one suits you is to try a few. After all, taste and texture is all about your own preference. The biggest benefits of these two products is the bacteria that’s present within them. Both buttermilk and kefir have good bacteria. When consumed, they help our gut and digestive health by balancing out the bad bacteria in our stomachs. This helps alleviate gastrointestinal problems and promotes a healthier digestive system. Both kefir milk and buttermilk contain bacteria that is healthy and friendly to the human body. In addition to containing bacteria, kefir milk also has yeasts that can colonize the intestinal tract. This is what makes it such a valuable food. Kefir has more than 12 microorganisms, while buttermilk has one particular probiotic strain. The healthy and friendly bacteria contained in buttermilk is capable of keeping the digestive tract clean and healthy by offering nutrients to the gut flora. Both kefir milk and buttermilk can act as an important source of probiotics in the body. Kefir milk is cultured at room temperature also known as Mesophilic culture. 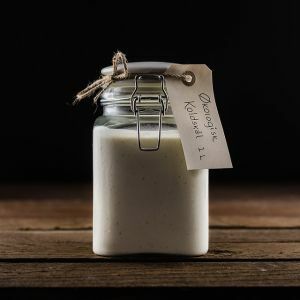 Buttermilk starters include mesophilic culture and thermophilic culture. The thermophilic culture is heat-loving, hence it is carried out in an oven. The thermophilic culture should be cultured at about 110 Fahrenheit. The human bod requires proteins to build and maintain the body cells and tissues. When it comes to this essential nutrient, both kefir and buttermilk have the same content of proteins. The protein content in the two beverages is eight grams per eight ounces serving. So while they do supply you with some protein, neither offer enough of it to fulfill your body’s daily requirements. So, anyone interested in providing their bodies with proteins are advised to consume other sources of proteins such as red meat and poultry meat rather than just buttermilk and kefir. When it comes to fat, both kefir and buttermilk have the same amount found in them. Part of the fat contained in these two beverages comes from saturated fats. The saturated fats are said to be unhealthy for the body because of its ability to affect the body’s cholesterol level. This is why consuming them in moderation is also important despite their probiotic benefits.